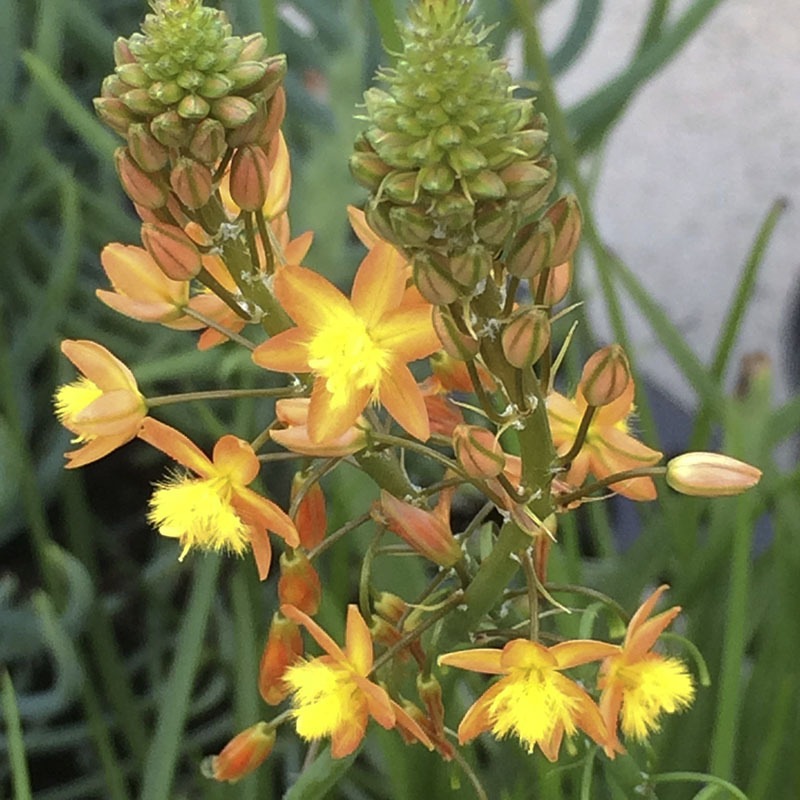 Cheery orange, star-like flowers with frilly yellow stamens bloom all summer. Excellent as a drought tolerant container plant or in the garden for all-season color. Mix with other succulents for a showy, easy-care container garden. Provides nice textural contrast and color as an accent plant. Has similar healing properties to aloe species. Full sun. Height 8-10″. Spread 2′. Zones 8-11.